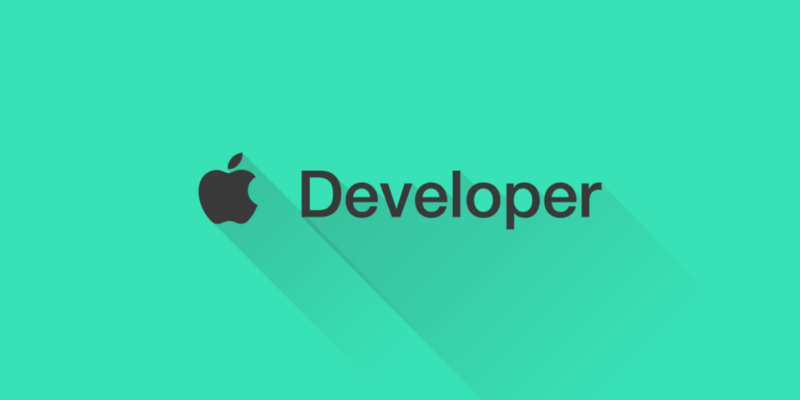 The Apple Developer Enterprise program, or called also as in-house distribution, allows companies to publish their apps to their users without going to the AppStore and go through Apple’s approval process. This will ensure that the apps will not be used by the public or anyone outside that company. There are some steps that you need to follow in order to achieve that. I will walk you through my experience of publishing such apps for your clients. More details can be found here. Ask the client to create an Apple Enterprise Developer account, and provide you with the username and password or add you as to the account if they don’t feel comfortable sharing such info. In my experience, most clients will send me their account info and I will do whatever is needed to setup their account. This is usually because the clients/account managers are not technical enough to deal with creating accounts or add users under “Users and Roles” in iTunesConnect and under “People” in Apple Developer portal. To create an enterprise account, you can visit Apple’s website here. Not that the Enterprise program will cost $299/Year. Legal Entity Status: Which is basically to ensure that you are a legit/legal company and that you are who you are. D-U-N-S Number: The company must have a D-U-N-S number, which is used to verify that the company a legal entity. This unique number is assigned to your company by Dun & Bradstreet, which is used as a standard businees ID. Legal Authority: You, or someone from the company should have the legal authority to do the legal agreements with Apple. For example, the company’s founder, a project lead, or someone who has the legal authority granted to them by someone higher up in the company. Apple ID: You will need for sure an Apple ID in order to login and sign up for the program. This Apple ID is what you need later in the process to login to the developer account and iTunesConnect. After the client creates the account and provides you with the needed login info, login to the Apple Developer account and iTunesConnect to make sure that everything is correct and you have the right access rights. After all that is done, now you will need to generate the distribution certificate, and make sure you select “In-House and Ad Hoc”. After that you will be asked to create a certificate signing request (CSR) using your Keychain Access, which is the same approach you use when you want to generate a regular distribution certificate. Generate that, download it, and add it your keychain. Now, when you want to publish the app, you will need to export it for distribution to outside the store. You do that by going to Product -> Archive, and then export the archive as an iOS App file (.IPA file). Client the export button, select “Save for Enterprise Deployment”, choose a team from the pop-up menu, and click continue. That will generate your IPA file for you! In order to publish the app, you will need 3 files, The IPA file that we just generated before, an app icon (.png file), and something called the manifest file. The manifest is a XML plist file that used by the device itself to find the IPA file, the icon, and other important info about the app itself, such as your web server, which is where the IPA file will live. You can generate the manifest file when you generate the IPA file itself, and then you will be prompted to enter the details needed such as the App Name, App URL which should be HTTPS, an image URL which also should be HTTPS. After you are done with that, and you have all the files needed, you are all set with everything that you need to do as far as generated the app IPA file. Now, you will need to upload your app to a server where it will live, and pass the app manifest file to your users so they can download the app. Please make sure that you put all 3 files in the same directory, otherwise, update your manifest file to reflect where each file is. If you have any questions please feel free to leave a comment and I will reply as soon as possible! Good Luck and Happy Distribution!